This is a rectangular Carter’s Overalls porcelain sign. This particular Carter’s Overalls sign is predominantly white with blue and red text. 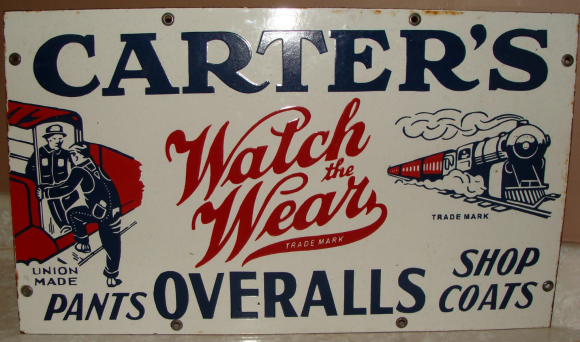 It reads, “Carter’s Overalls, Watch the Wear, Pants, Shop Coats” and features two men climbing into a car on the left and a train on the right.